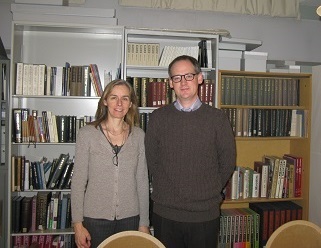 In December 2013, Ed Potten and Laura Nuvoloni travelled to Japan, at the invitation of Keio University, to participate in the international conference Text and illustration in early books and manuscripts: A comparative study. 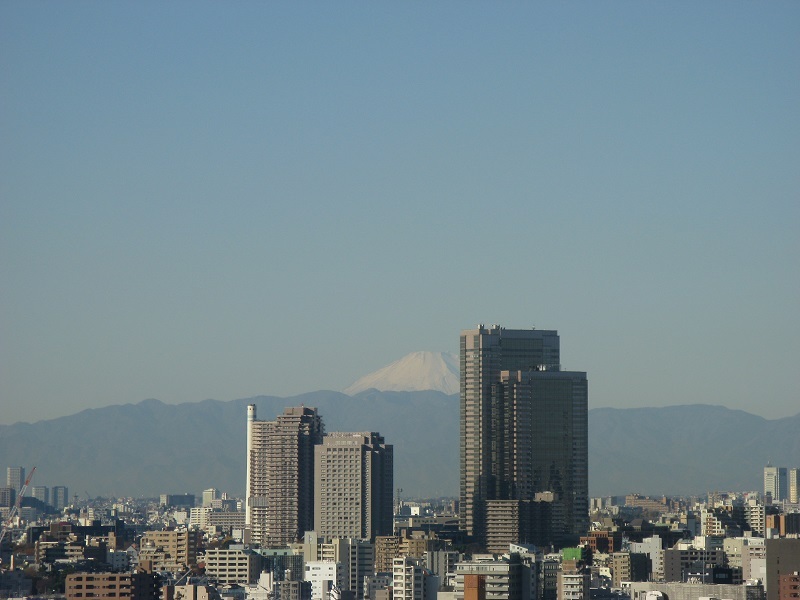 The conference, held on 13 and 14 December, was organised by Professor Takami Matsuda and Dr Satoko Tokunaga of the EIRI Project, with the collaboration of Dr Mayumi Ikeda, Postdoctoral Fellow of the Japan Society for the Promotion of Science. 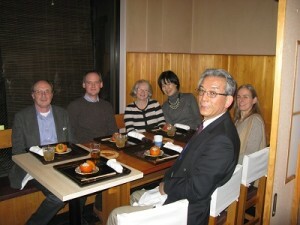 Keio University and Cambridge University have long had close ties. Cambridge’s copy of the Gutenberg Bible was the first to be digitized by the HUMI Project team in November 1998, led by Professor Toshiyuki Takamiya, himself a long-standing friend of Cambridge University Library and member of the Library’s Visiting Committee. These fruitful ties have been much reinforced through the collaboration between the Cambridge Incunabula Project and Keio’s EIRI Project, most recently in the jointly-organised Incunabula on the Move symposium, held in commemoration of the 100th anniversary of the birth of J. C. T. Oates, editor of the Catalogue of the Fifteenth Century Printed Books in the University Library, Cambridge (1954). 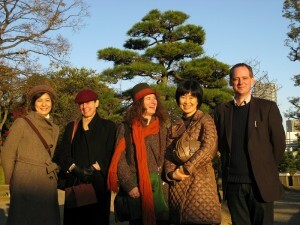 The symposium was held in Cambridge on 6 March 2012 and saw the participation of scholars from the UK, the United States and Japan. Its proceedings are currently being edited by Ed Potten and Satoko Tokunaga and will soon be published in a special issue of the Transactions of the Cambridge Bibliographical Society. The Tokyo conference involved participants from Japan, the United Kingdom and France and covered a broad range of themes relating to the making and illustrating of European manuscripts and printed books from the thirteenth to the late-sixteenth century. Ed and Laura were delighted to have been invited. The conference offered a wonderful opportunity to discuss current research in early printing, and to showcase recent discoveries from the Incunabula Cataloguing Project. Ed’s paper opened the conference, and examined the typographical and provenance history of a copy of a Sarum Missal printed in 1487, in a brief but remarkable collaboration between Caxton and the Parisian printer Maynyal. 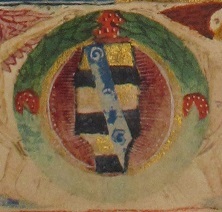 The partnership produced two books, the 1487 Missal and a Legenda of 1488 (ISTC im00719200 and il00118200), both of which survive today in only one copy. 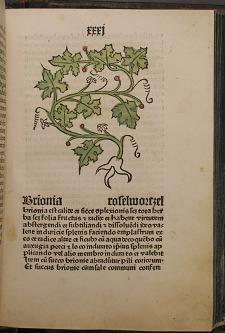 The 1487 Missal represents a succession of firsts: the first printed edition of this key liturgical text, the first use of Caxton’s iconic printer’s device, the first English book outsourced to a continental printer. Remarkably, the one copy which has survived has remained in the ownership of a single family since publication, offering unique insights into the book’s use and abuse over centuries. Laura’s paper presented new research gleaned from the analysis of copy-specific features in incunabula from Cambridge University Library. Laura cleverly linked surviving copies in Cambridge to incunabula which survive in Japanese libraries – based on Professor Koichi Yukishima’s census, Incunabula in Japanese Libraries (2004), and the digital gallery of the Incunabula Collection at Keio University Library, led by Satoko Tokunaga as part of the library Digital Gallery of Rare Books & Special Collections – and examined how evidence of ownership and use can be used to reassess our understanding of historical printing, reception and the motivations of book collectors of all periods. 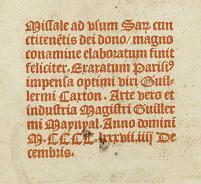 Other papers were of particular relevance to the Incunabula Project. Catherine Yvard of The Courtauld Institute of Art, focused on a copy of a Book of Hours printed on parchment in 1478 in Naples by Mathias von Olmütz Moravus, known as Mathias Moravus (Manchester, John Rylands Library, 18498.1; ISTC ih00357360). She identified this as the only printed book illuminated by the so-called Maître de Jean Charpentier, an artist working in Tours between 1475 and 1490. The Hours were illuminated by him around 1485 possibly for an Italian patron from the court of Frederick III of Aragon, King of Naples. Christian Heck of the University of Lille 3 illustrated the development of biblical imagery of texts such as the Bible moralisée, the Speculum humanae salvationis, the Biblia pauperum and the Ars moriendithrough the centuries from thirteenth-century manuscript to fifteenth-century xylographic books or blockbooks. Mayumi Ikeda, one of the conference organisers, discussed the illustration of plants and herbs in the Herbarius Latinus and the Gart der Gesundheit both printed in Mainz by Peter Schöffer in 1484 and 1485 respectively (ISTC ih00062000 and ig00097000). Both show a much more naturalistic approach to the representations of plants than their medieval manuscript predecessors, but were clearly produced to suit customers from two different social groups. Pascale Charron of the University of Tours described the changes which occurred in the iconography of the French poem Champion des dames between early fifteenth-century manuscript examples and the printed edition produced in Lyon in 1488 (ISTC if00277000). John Goldfinch of the British Library drew the proceedings to a close with a magisterial survey and overview of printed book illustration in the fifteenth century. The conference was superb, and the organisers should be commended for the professional and friendly environment they produced, an environment which stimulated much scholarly debate. They also organised for us visits to two repositories of Japanese manuscripts and early printed books, the Kanazawa-Bunko and the Shido-Bunko at Keio Institute of Oriental Classics. Both venues laid on extraordinary riches for the delegates, but particular mention should be made of Dr Takahiro Sasaki’s beautiful display of Japanese books, scrolls and ephemera. 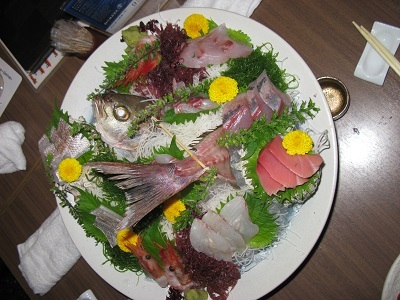 Breaks, lunches and dinners provided wonderful opportunities for tasting Japan’s exemplary cuisine and enjoying the company of eminent scholars, fellow librarians and exceptionally bright students. The Monday following the conference was an equally busy and exciting day. We started the morning with a visit to the Rare Book Collection at Keio University Library, where we had the chance to study some of their incunabula. Treasures on show included a copy of the Latin version of Plutarchus’s Vitae illustrium virorum printed by Nicolaus Jenson in Venice and dated 2 January 1478 (ISTC ip00832000), bearing the arms of a member of the Chierigati family of Vicenza, and an intriguing and puzzling copy of the four volumes of Aristotle’s Opera in Greek printed by Aldus Manutius between 1495 and 1498 (ISTC ia00959000). The morning continued with a superb tour of antiquarian bookshops in the Jimboucho Area, courtesy of three young scholars, Daichi Ishikawa, Thae Ho Jo and Alessandro Bianchi, who kindly agreed to guide us. The shops were full of marvels of Japanese printing, but also of unexpected treasures from the West, including a sixteenth-century edition from Magdalene College, Oxford. An unexpected find in Subunso, the first of the four bookshops we visited. The trip far exceeded all our expectations and we are enormously grateful to all of our hosts for their hospitality and kindness, but particularly to Satoko Tokunaga and Mayumi Ikeda. It is hoped that this fruitful collaboration with Keio will continue and that we may be able to repay their hospitality in Cambridge in 2014.